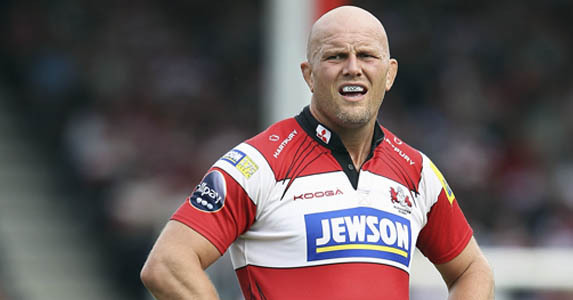 The Rugby Players’ Association today announced Gloucester second row, Will James, as the new RPA Chairman. Will takes over from former Bath prop, David Barnes, who after six years as Chairman becomes a full-time employee of The RPA as Rugby Manager, having had to retire from the game last season due to a neck injury. James will lead The RPA Management Board with Northampton Saint’s lock Christian Day being voted in as The RPA Vice-Chairman by the Player Representatives. James spoke of his pride at having been elected as The RPA Chairman: “I’ve been the Gloucester Player Representative for three years now and I want to make a similar contribution to David Barnes, my predecessor, who has done a great job as Chairman up until this summer. It is a big role within The RPA and the game and a good opportunity for me to be able to give input into the work done by the Association. It’s an honour to have been elected RPA Chairman by my fellow Player Representatives. On his appointment as Vice-Chairman, Christian Day said: “I feel more senior this year having been on The RPA Management Board last year, so I felt comfortable stepping up and making my voice heard. Matters discussed at the recent RPA Board Meeting in Birmingham included results of a recently commissioned RPA Player Medical Survey, career-ending insurance and “Social Responsibility” in the wake of unwelcome headlines at the Rugby World Cup. Discussions were also initiated around social media and the opportunity of players setting their own guidelines for the sensible use of social media. Bath – Sam Vesty, Exeter – Haydn Thomas, Gloucester – Will James, Harlequins – Olly Kohn, Leicester Tigers – Ben Woods, London Irish – Bob Casey, London Wasps – Ben Broster, Newcastle Falcons – Jeremy Manning, Northampton Saints – Christian Day, Sale Sharks – Sam Tuitupou, Saracens – Hugh Vyvyan, Worcester Warriors – Jake Abbott, Leeds Carnegie – Jonathan Pendlebury.